So… we’re in the Sunday Times! Here at So… Visualise, we are a small, perfectly formed family business with great ideas and big hearts! So you can imagine our delight at being featured in a page lead article in one of the national Sunday newspapers. The piece, ‘Freebies for celebrities: let them pay for cake’ by Laura Onita on page 7 of the Business Section of The Sunday Times gives us a large slice of the narrative. The theme of the article, published 20th August, focuses on how giving out free publicity materials may benefit companies in their bid to acquire new clients. As well as mentioning our lovely hometown of Scarborough, the lovely Frida, our inflatable drinks holder in the shape of an elegant flamingo, also gets a nod as a key part of our marketing strategy. So… we waited with baited breath to see if we would get a mention and an early morning visit to the newsagents meant we bought a copy of the Sunday Times with its print ink still wet! And of course, we weren’t disappointed. 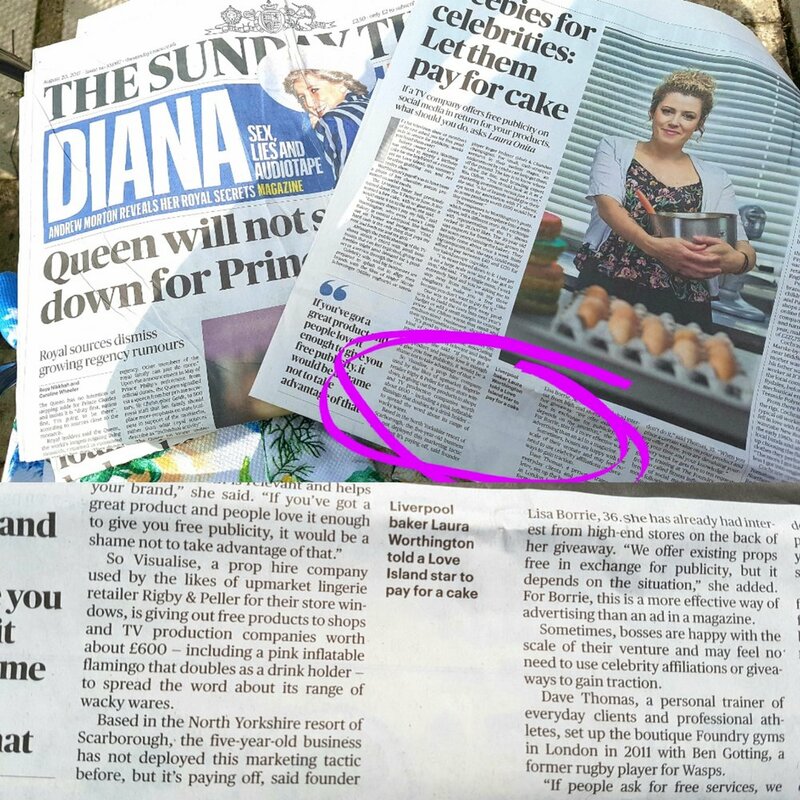 The beating heart of our business is our customers and being able to deliver the best possible service to our clients … and making it to a national newspaper with a high readership definitely helps ‘get the word out’ … we might have a piece of cake to celebrate! Older PostSo...much support up North!